Norcia Fine Cabinetry is NOW up and running in our now location, with the same great team and products for your home, please note our phone number is the same that we have had for 23 years. We are your number one choice in Fine cabinetry. 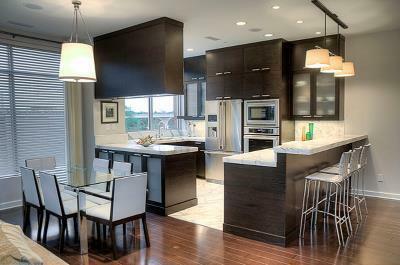 We have NCIDQ Certified designers specializing in Kitchen and Bath Designs to please you. At Norcia Fine Cabinetry, we combine the aesthetic appeal and craftsmanship you appreciate in fine heirloom furniture with the space efficiency and ergonomic functionality you expect in today's most celebrated cabinetry. It's a delicate balance of tradition and innovation. But it's quickly making us one of the Southeast's preferred sources for custom cabinetry. And, we hope... yours too. Long before Euro-style cabinetry became the fashion, it was our standard. Eurostyle is much more than an aesthetic choice... it's a fundamental quality choice. When you're buying fine custom cabinetry, we believe that you have a right to expect a higher standard in standard features. That's why you won't find our name on a cabinet that doesn't have all of the following features included. European style cabinetry is much more than simply an aesthetic choice. It's a fundamental quality choice. That's why for us, it's the only choice. Every cabinet we make begins as a Eurostyle cabinet. And whether it is ultimately finished as a colonial, shaker, bungalow, euro or any other style, it's an entirely different grade of cabinet than the standard American cabinet. A difference you can tell as much by what you don't see as what you do see. Design | Our professional design staff, supported by the latest computer-aided-design systems, have years of expertise in translating dreams into cabinetry. Approachable and flexible, they will ensure the entire experience is as enjoyable as the final cabinets themselves. Keep a Design Envelope | Use an envelope to collect your favorite cabinet features, hardware and layouts from magazines. Also, include samples of carpet, paint and wood finishes from rooms where your cabinets will be placed. This information will speed the process of design with your designer. Build | In the tradition of European woodworking guilds, Norcia Fine Cabinetry is filled with professional craftsmen who approach their life's work with true reverence. Our master craftsmen are capable of identifying a hardwood simply by the feel of its grain. Working in Norcia's 16,000 square foot, state-of-the-art manufacturing facility, wood yields to their will with remarkable precision. Install | When you put as much into your cabinets as we do, you make sure you see them through to the end. That's why we insist on doing all our own installations. It assures you of a guaranteed custom fit and us of a job well done. When we initially visited your cabinet shop, your expertise was readily apparent, and we were impressed with the samples of your work. We knew within a few minutes that we would select you to make the cabinets for our new home. Our cabinets are outstanding and beautiful beyond what we had hoped for. Your attention to the wishes and needs of your customers and your attention to detail was simply outstanding. Your cabinets represent more than excellent craftsmanship... they are works of art. They far exceeded our expectations. And, in our survey of quality for value, your cabinets proved to be incomparable. 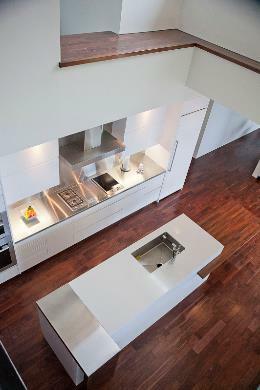 The processes of design, development and installation of our cabinets were very enjoyable. You, Kim and your entire staff provided excellent customer service throughout the entire process. We are so proud of our cabinets and feel that selecting Norcia Fine Cabinetry to craft the cabinets for our new home proved to be one of the best choices of the many that were required throughout the building process. Thank you for making our home so beautiful. Who knew getting cabinets could be such an enjoyable experience? Being an engineer, I've made many purchases of equipment and systems by evaluating the similarities and differences involved. When my wife and I decided to buy new cabinets for our kitchen. I made a spread sheet to evaluate 17 different cabinet suppliers in our area. We looked at their workmanship, workshops, cabinet lines, hardware choices, construction methods, warranties, and payment terms. After evaluating proposals that ranged in price from over 200% to 50% of what we paid, we selected Norcia Fine Cabinetry. We chose their cherry cabinets with European full faced doors in a unique panel design that only they have. They did an outstanding job in construction and installation. Everyone who sees the finished job has been very complimentary, and I must admit we are proud to show them. Norcia went out of their way to be sure we were completely satisfied, even in a smaller, subsequent job we had for them. You will not be disappointed with their work. All of our cabinets are absolutely beautiful. Mike Norcia is a graduate of the University of Tennessee at Chattanooga. After college, he apprenticed under the guiding hand of nationally acclaimed master furniture maker Bill Burnside before founding Norcia Fine Cabinetry in 1996.